I’ve not fished Borwick Fishing for many a year, way back when it was an uninviting wind blown gravel pit of a place, but it has matured and is a now a lovely place to fish, green and lush with superb spacious pegs well spread out so you are never on top of another angler and plenty of water to target. 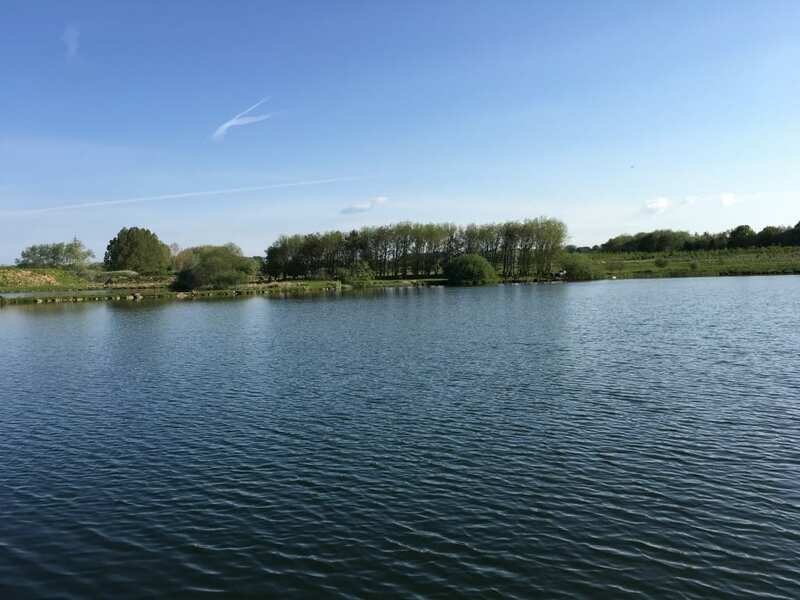 The surroundings are beautiful, the Carp run to spectacular size and by all accounts so do a lot of the other fish, with large Pike caught during the season (October – March), Bream, Tench Roach, Rudd and even Catfish. 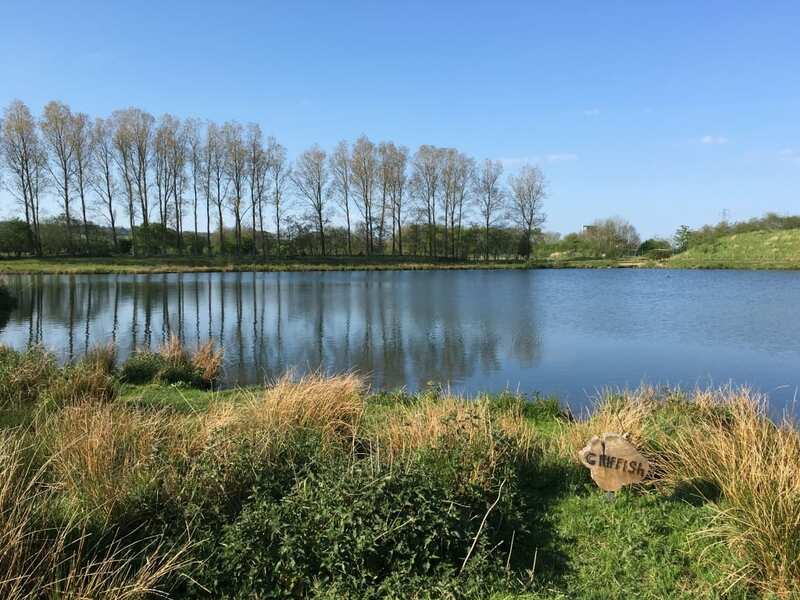 Not having fished here for years I set about asking about trying the find out the best tactics, bearing in mind I was only here for a short day – a looming night out meant I couldn’t stop and night fish – so I needed to make the most of my 8am – 3pm timeframe. The one thing that I kept hearing was watch for the fish, keep mobile and if you see them fish to them or move to them! So I settled down in peg 12 and was happy to have a vast open water in front of me and good margins either side, no angler within 100 yards or more either side. 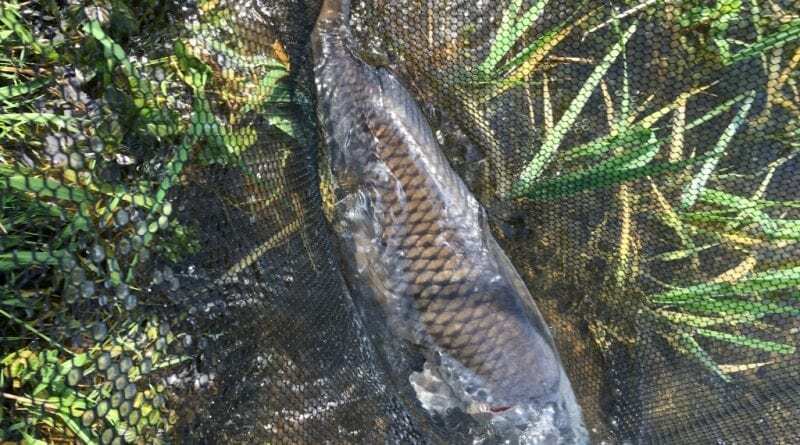 After an hour and half I was finding it a little slow going with nothing to show for my efforts, until I spotted a big ghost carp to my left in the a bay in front of peg 11, so off I went to investigate. 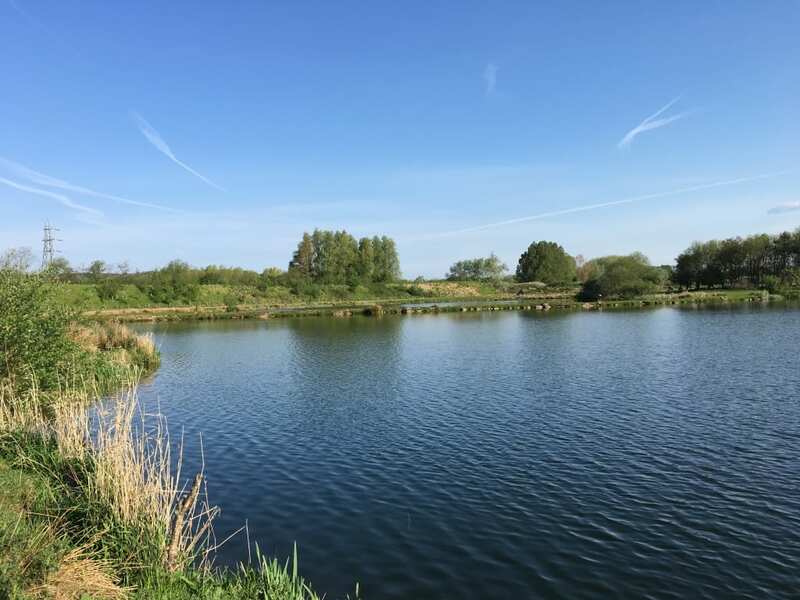 To my amazement there were 15 or so decent carp in the bay – this was the cue for me to move quickly, recast one road to the middle of the bay and, having noticed that they seemed to be coming close into the side I dropped one rod just over the side of the ledge about 8ft out. Within half an hour the left hand reel, close in rod, was screaming off and a few minutes later the first fish of the day was in the net. Only a small one by Borwick Fishing standards, but well pleased especially as I’d also been told there might not but much caught today until night fall and of course i was not stopping. Left hand rod dropped back in, again close in and within another half an hour I was into a much bigger fish. This one I proceeded to loose. Gutted. A combination of the fish suddenly stopping and skating its head and a reel failure left me thinking my chance had gone. Still back in the rod goes. Again the left hand rod went screaming off and I’m into another, I seem to have hit the spot and got the method right. 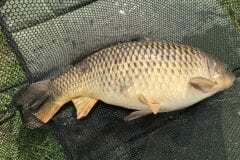 This one resulted in a nice Common Carp of about 16lb. Sadley time to pack in, but i’m sure they would have kept coming if I could have stopped. 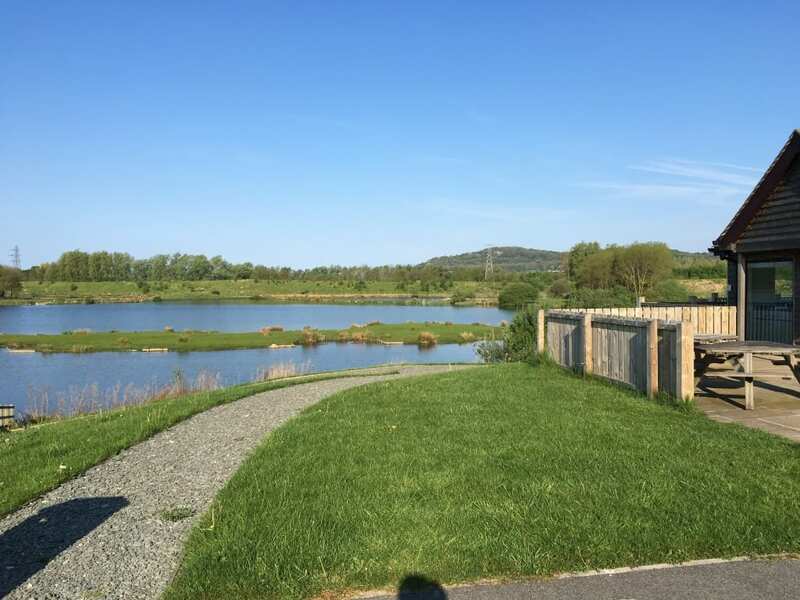 All round a fantastic short session, great weather, good company in Barney our Springer Spaniel, very very relaxing and a good days fishing on a water i previously knew little or nothing about. 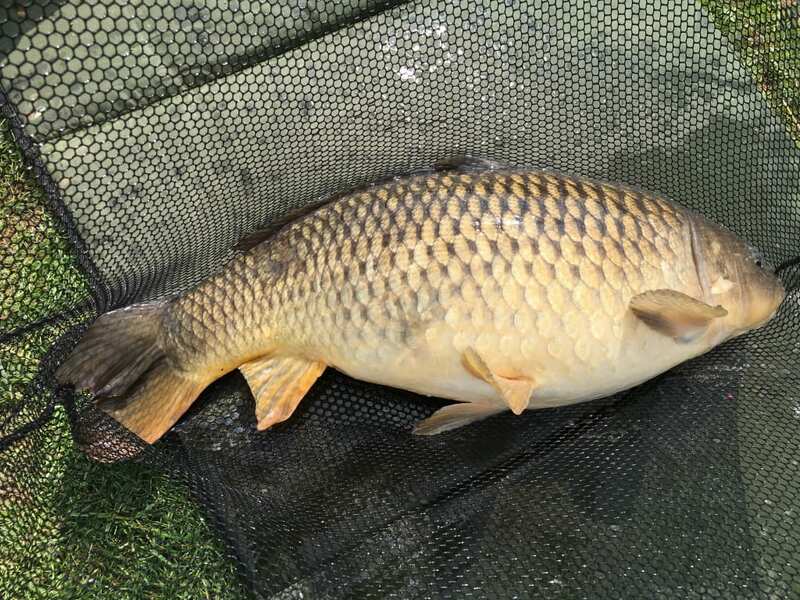 For a short session like mine I’d recommend PVA bags with a mix of particles and pellets, most were – i’m told fishing a chod rig – i decided to got for a pop up (before i knew how popular chods were here) so off the bottom seems to be the method either way. Bait wise for a quick day session I decided to go for something different to try and catch the attention of the Carp that were cruising around in numbers so a bright highly flavoured pop-up boillie was chosen. A few anglers arrived for the night, as i was packing up, and were spoding or spombing bait into position in readiness. Probably best to try and find out the main boilie approach on here if you are going for a longer session !